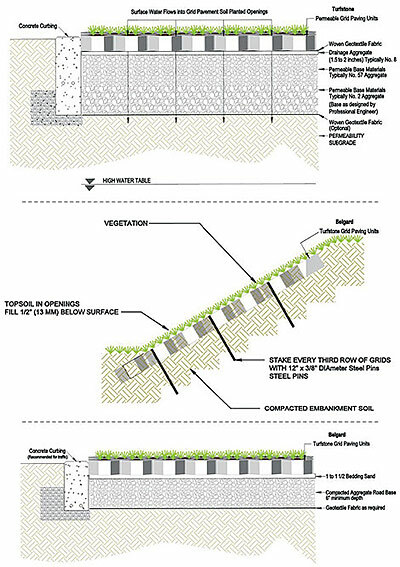 Turfstone grid pavements allow vegetation to thrive or can be constructed as a permeable paver. 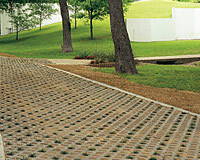 Ideal for pedestrian and overflow traffic areas requiring solid traction and/or erosion control. Turfstone blends naturally with the landscape. Its simple open weave design allows for a breathable pavement, making it an environmentally friendly alternative to heat producing solid concrete or asphalt surfaces. Turfstone keeps the green surfaces green! Specs: 24" x 16" x 3 1/8"